I have been creating since I can remember being. I learned to sew, build, draw, paint and design as a very young child. I have spent the whole of my life in one design field or another. My creative evolution has spanned a successful career in interior design, furniture design, and custom woodworking, to the world of computer graphics, fashion, jewelry, costume and millinery. I am so blessed to have had the opportunity to travel to many countries and places and develop my skills on so many various platforms. I strive to bring all my experience to my clients and in my offerings to the world, while continuing every day to learn new techniques and push the boundaries of my own creativity and passion. My initial creative education started in life and love of art itself and my later, formal BA education, was through the Art Institute of Pittsburgh in both Interior and Graphic design. 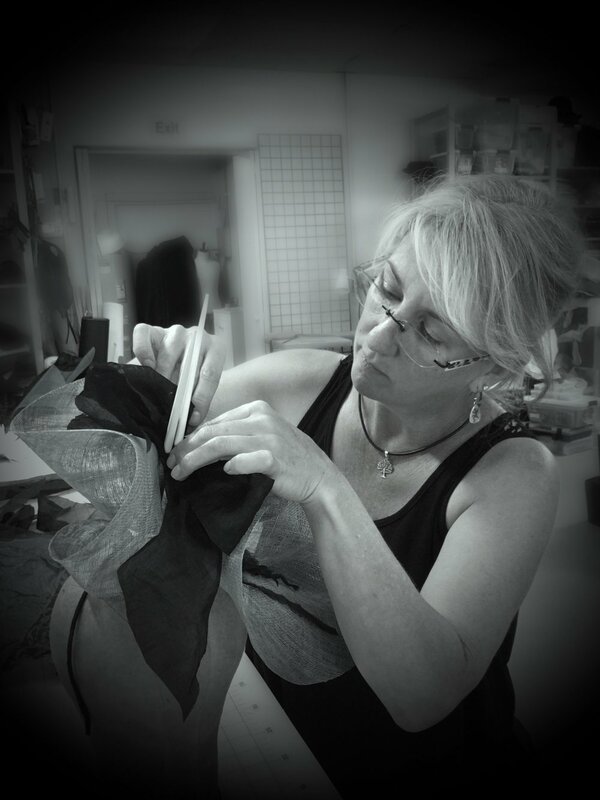 My millinery studies have been through both private, as well as institutional classes, from various master milliners and designers in the US, France, Australia and the UK. My goal is to bring the world beautiful designs and above all a love and appreciation of art and the people that are bold enough to create and share it. or contact me at - apatedesigns@gmail.com Thanks for visiting!